We have excellent facilities for long-term hospitalisation of patients in comfortable accommodation with round-the-clock expert nursing care. Our canine patients stay in a large air-conditioned ward with kennels suitable for all sizes of dog; there are bathing and showering facilities and access to the secure garden. Cats have their own ward, and we also have a separate isolation area. We encourage owners to visit their pets and to feel involved in their treatment. 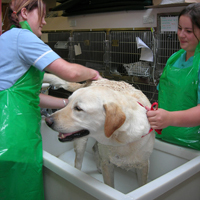 During their recuperation, our in-patients have access to acupuncture, physiotherapy and hydrotherapy. We offer excellent surgical care in both expertise and equipment. In the surgical suite we have a large central preparation area with an adjoining imaging suite, two sterile operating theatres and a dedicated dental theatre. Undergoing surgery is safer that ever for all patients, including the elderly, and we regularly operate on rabbits and small pets. We are part of a regular screening program for pathogens and MRSA bacteria. As an orthopaedic and ophthalmic referral service we carry out state-of-the-art procedures such as total hip and elbow replacement, arthroscopy, spinal surgery, skin graft and delicate corneal surgery. These techniques demand high standards of sterility and anaesthesia, and the same quality is applied to all our surgical patients. The early detection of disease, full analysis of the problem and on-going monitoring is all-important. We have a well-equipped in-house laboratory able to run blood and urine tests any time of day or night. This allows rapid diagnosis for emergency cases and on-site screening. We also use a specialist pathology laboratory for complex tests and expert interpretation. we use endoscopes to get a view inside stomach, noses, airways and joints. we can perform bacteriology cultures to help identify the right antibiotic to use in a specific case. A healthy mouth is vital for your pet’s wellbeing. We have a well-equipped dental suite with sophisticated equipment for ultrasonic scaling and polishing of healthy teeth, as well as radiography and the surgical extraction of diseased teeth. We then recommend regular follow-up appointments with the dental nurse to maintain oral health. 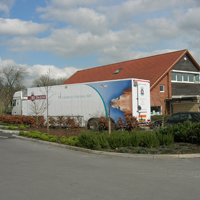 MRI: a mobile unit visits the practice once a fortnight to assist the vets with detailed investigation of brain, spinal, joint and soft tissue diseases. Ultrasound: We have regular clinics at the practice with a European Specialist Diplomate who brings her state-of-the-art equipment to carry out ultrasound examinations. This is very useful for patients with abdominal or chest problems. Usually no anaesthesia is needed unless samples are to be collected. Consultations are by appointment and are available throughout each day. Call us on 01380 728505 to book yours. Appointments are 15 minutes long, but if you would like longer please let us know in advance. It is very important that we are able to discuss your pet’s problems fully and the different treatment options available. However, we will always attend to emergency cases as soon as possible and this may disrupt schedules! 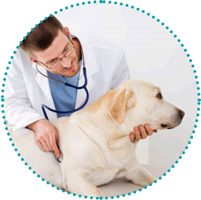 As a practice we feel it is important to maintain a continuity of care with the same vet. However, as we all take our share in the evening, night and weekend rotas we do not all work every day and so your pet may be cared for by more than one vet. Detailed clinical histories are stored on computer and we confer regularly over cases. 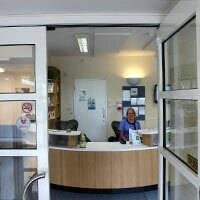 If you wish to see a particular vet please let reception know when making the appointment. We offer regular cat-only clinics (by appointment only) on Thursdays (6pm – 7pm). We have a separate waiting area for cats, a bespoke cat only hospital ward, and a passion for “cattitude”. We offer the a variety of specific nurse clinics to all of our registered clients to complement the lifelong care we provide for your pet. 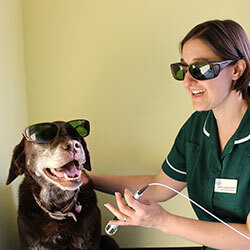 These are run by a select team of experienced, Registered Veterinary Nurses. Payment is due after each consultation, and we accept credit, debit and Switch cards. Please also take time to read our terms and conditions. Did you know 1 in 3 pets require unexpected veterinary treatment each year? Whilst advances in veterinary medicine mean we can do more for your pet, treatment costs can soon mount up. Click here for advice on Pet Insurance from the British Veterinary Association. We work in partnership with Petplan so we can offer all eligible pets aged between 6 weeks and up to 18 months who have received a Vet health check, Free Veterinary Cover – Instant Protection providing immediate cover for illness and injury if you activate the cover within 24 hours. 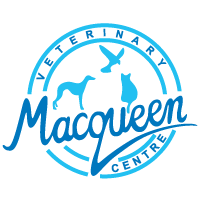 Macqueen Vets is an Appointed Representative of Pet Plan Limited. Petplan is a trading name of Pet Plan Limited (Registered in England No. 1282939) and Allianz Insurance plc (Registered in England No. 84638), both of which are authorised and regulated by the Financial Services Authority (FSA). Registered office address: 57 Ladymead, Guildford, Surrey GU1 1DB, United Kingdom.